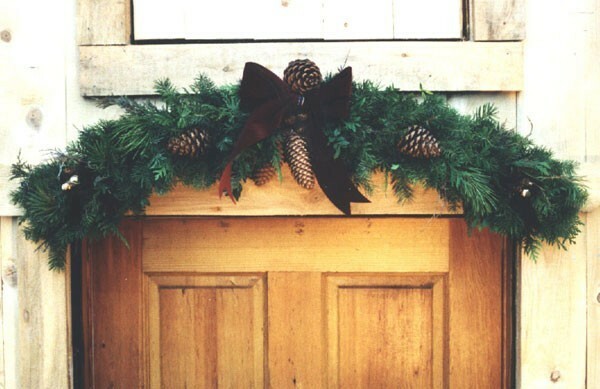 This evergreen product is designed to add a welcoming and Christmas feeling to your front entrance. Handcrafted with boughs of Douglas fir (Pseudotsuga menziesii), western red cedar (Thuja plicata) and common juniper (Juniperus communis) its natural scent will last into the spring in cool climates. It is tastefully decorated with natural cones and a large bow. Merry Christmas! Note: These Door Arches are accented with a single bow. If a double bow is desired, there will be an additional fee.